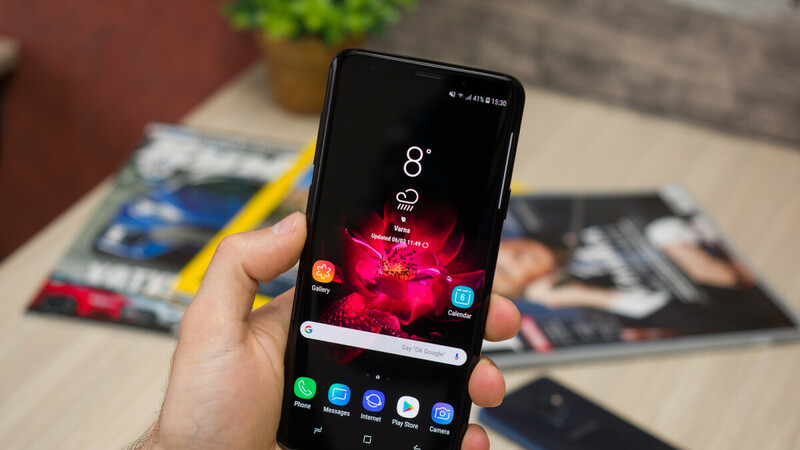 Since launching the Galaxy S10 series last month, Samsung has unsurprisingly reduced the prices of its Galaxy S9 phones (released in early 2018). Thus, you can now buy a Galaxy S9 starting at $499, or a Galaxy S9+ (pictured above) starting at $599. These are the official prices listed by Samsung for the 64 GB versions of the handsets, so if you want a model with more storage space you need to pay extra. Unless you find a great deal - which we just did. Retailer B&H is currently selling the Samsung Galaxy S9+ 256 GB, fully unlocked, for only $549 - that's $170 less than the price asked by Samsung for the 256 GB version of the phone ($719). The trade-off here is that this particular S9+ found at B&H is an international model that only works on GSM/LTE carriers like AT&T and T-Mobile, so you should not buy it if you intend to use it on Verizon, Sprint, or US Cellular. The international Galaxy S9+ is powered by Samsung's Exynos 9810 processor, not Qualcomm's Snapdragon 845 like the US model, but you're not really going to notice significant differences between the two. Another thing to note is that this international S9+ comes with 1-year warranty offered by B&H, not by Samsung. But that's still quite okay, because most international variants of Samsung's Galaxy phones that can be bought at reduced prices (via eBay, for example) usually come with no warranty at all. Despite being more than 1 year old, the Samsung Galaxy S9+ is still a powerful, modern-looking smartphone. So if you don't want to spend over $800 for a Galaxy S10 or S10+, but still need a speedy handset with generous storage space, the international Galaxy S9+ 256 GB that's available at B&H for $549 is definitely worth thinking about. OnePlus 6T is selling their latest phone for less than that. That latest phone you are referring to has snapdragon 845 which is released at the same time as the Exynos mentioned in this article.